Link building is one of the most effective SEO tactics.I think you already know that to get your site on the first page of Google you should build high quality backlink. If you don't know about backlink in detail then you can read here about Backlink. If you want to rank for a particular keyword or want to increase page authority, Domain Authority of your site then you need to build high quality backlink. But for building high quality backlink first you need to find high authoritative sites.Many new bloggers don't know how to find sites. In essence, high authoritative site means a site with high MozRank, Page authority and Domain authority. 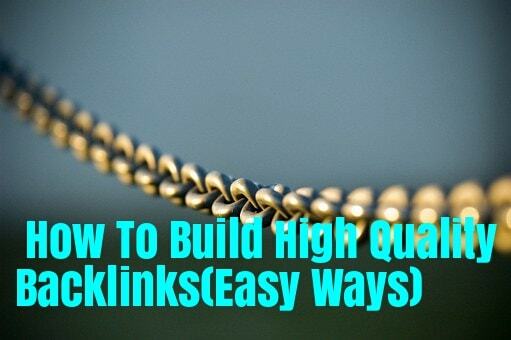 Today In this post I am going to share easy ways to build high quality backlink. How to Find Keyword Related Sites and make backlink through Blog Commenting, Guest blogging, Directory Submission. To check site popularity of any sites just you can install MozBar chrome extension on your browser.Otherwise, you can use any other online tool available on the internet. Blog commenting is the essential step to improve your blog ranking by making high quality backlink.Since backlink is the most important factor for off-page SEO and if you want to run long term blog then blog commenting is a great way for you. To find keyword related sites first go to Google.com and search below terms. In the above list you just replce "Your keyword" with your desired keyword and search on Google. Guest blogging is another great way to build high quality backlink and to get huge traffic to your blog. For guest blogging, you should find sites related to your niche and then write for them. And also you can get a well-known name from that blog. Here also replace Your Keyword with your own keyword. Directory submission is an important part of SEO.By submitting your sites to various directory you can increase Domain Authority, Page Authority of your site. Here is how to find Directory Submission sites. For finding keyword related sites a search tool is available. The tool is DropMyLink this is my favourite tool which I use personally. How to use DropMyLink ? Open DropMylink.com in your browser. Type Your keyword in Keyword field and select blog type where you want to make backlink. Now click on search and make baclinks. This way you can make high quality backlink easily. I hope you enjoyed this post How To Build High Quality Backlinks(Easy Ways). Now share this post using sharing buttons below to support us.